A church has stood here for 800 years, with major renewals in the 14th and 19th centuries. St Leonard’s has always opened its doors seven days a week to welcome everyone, whatever their beliefs, to enjoy its beauty and serenity. It’s a wonderful place for worship and prayer, but also for a wide range of other activities, from talent shows and seasonal celebrations to opera, craft fairs, film shows, barn dances and lectures. As Watlington’s biggest venue, with excellent acoustics, the church is there to enrich the lives of everyone in our community, not just regular worshippers. This is the thinking behind our current renewal project. It builds on a major renovation in 2002 to improve lighting, heating and flooring, and more recently the introduction of flexible seating, up-to-date audio and video facilities, and a grand piano. Spring 2019 sees the start of work on the next phase: building an extension with accessible toilets with baby-changing facilities and a well-equipped kitchen area – and later creating a sound-proof meeting room. St Leonard’s will lose nothing of its historic beauty and spiritual peace, while offering greater flexibility and comfort for worshippers of all ages. 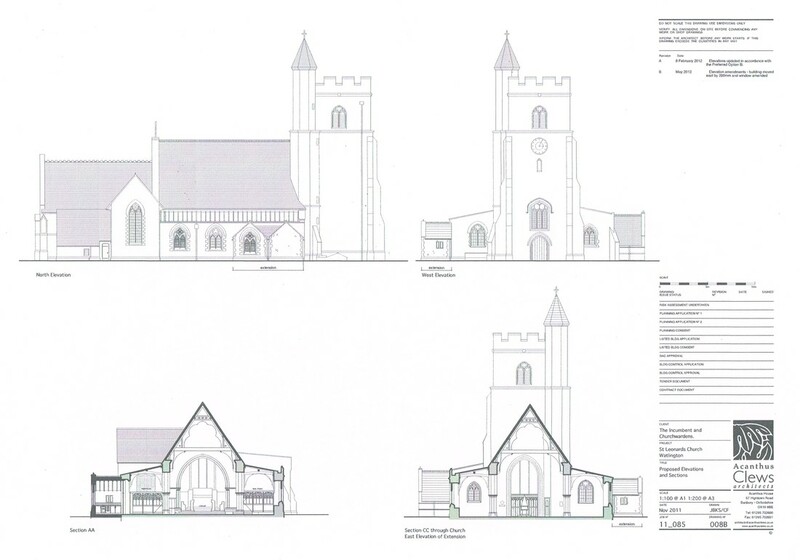 The renewal project has been funded by selling the derelict Church Hall site to the Diocese of Oxford. Two houses will be built, one of them a rectory sited conveniently close to the church, replacing the old vicarage on the other side of town. This means that two quite separate construction projects will be undertaken at the same time. 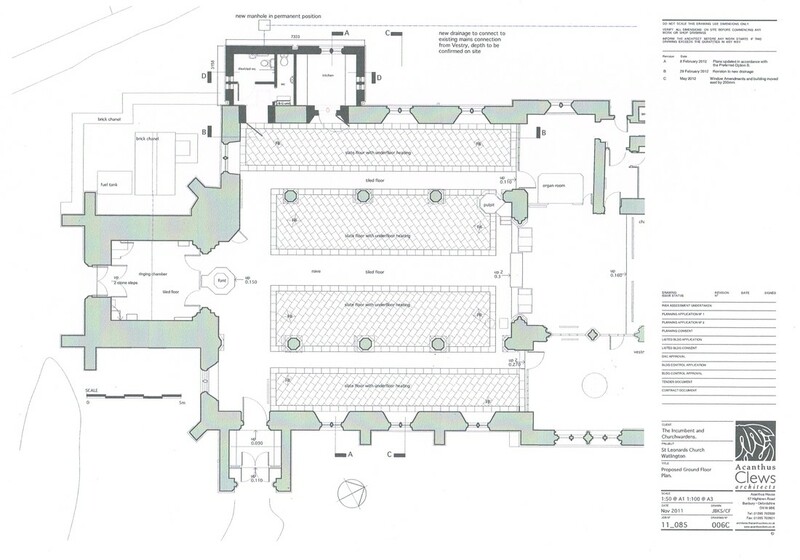 The Diocese of Oxford started to clear the Church Hall site and build the rectory and second house in April 2019. 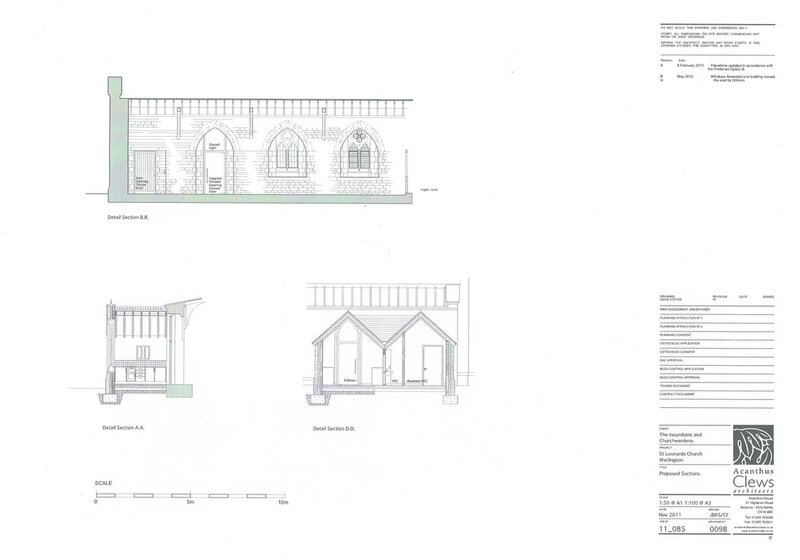 Shortly after, St Leonard’s Parochial Church Council begin work on the church extension. We will make sure that this does not interfere with visitor access to graves or to the interior of the church. Construction work on the church should be completed well ahead of Christmas 2019, though the two houses will take a little longer. No work will take place during antisocial hours. We want our church to be here, at the heart of the spiritual and cultural life of our area, 800 years from now. We know how much we benefit today from the renewal of this building by previous generations. Times change, and people’s needs evolve with them. That’s why renewal matters, to give us flexibility to create new patterns of worship and prayer which inspire people of all ages. But equally we want our church to be what its medieval builders wanted it to be – a focus for community life where everyone can feel at home. We believe that St Leonard’s cultural, social and spiritual roles are inseparable. Church decline is not inevitable. Our church today is a place where people meditate in silence. Take toddlers for messy play. Sing hymns, receive communion. Bring babies for baptism. Feast and dance. Get married. Watch opera, drama or cinema. Hear great music. Celebrate family milestones. Say goodbye to loved ones. Show off their talents. Debate big issues. Sit and think in peace. Feel part of something bigger. So our renewal project is about much more than bricks and mortar. It’s a vision of a lively future for a building which has meant so much to generations who’ve lived like us in this quiet corner of Oxfordshire.